Trade Cars For Cash: Get Cash For Cars UpTo $8999 Call Us Now! 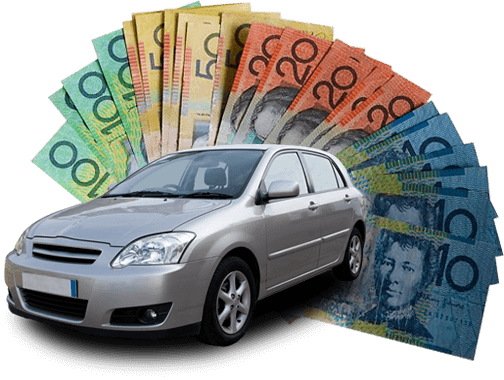 Trade Cars for Cash offers its “car removal“ and cash for cars services in all of Sydney regions and surroundings. Providing our services for over 15 years, our team is highly trained and professional making it absolute certain that our clients always get our services with convenience and reliability. We offer a variety of services including instant cash for cars offers that promise to give you top quote on your vehicle of up to a whopping $9999. Our expert team of appraisers knows all kinds of vehicles helping you get the most out of your old or damaged vehicle. Call us today at 0466 879 131 or write us an email at quote@tradecarsforcash.com.au to avail our instant cash offers on cars and free car removal services in Sydney. Trade Cars for Cash provides its clients with some of the best offers available. We quote our top dollar offers after thoroughly inspecting your vehicles. This is done just to make sure that no promise is left unfulfilled by our team as our client’s satisfaction is what we strive and work for. On your one phone call, our team of appraisers would reach your given address at a time of your convenience. Everything else will be done quickly to make sure your precious time is not wasted. We hand you the top cash in return of your old, scrap, or completely damaged car so that you can invest it further in something new, something rewarding. With our cash for cars offers, we also provide car removal services absolutely “FREE”. Once the deal is finalised between Trade Cars for Cash and our valued client, instant cash is given to the client and then convenient and fast car removal services are provided. If you want to get rid of your old or scrap car, you would not find better offers anywhere else. Don’t worry if your old car belongs to an era bygone or if you have totaled it to almost oblivion. Highly trained appraisers at Trade Cars for Cash have decades of experience with old and damaged cars. This means no matter what, you will get some of the best cash offers on your cars with Trade Cars for Cash. Following ethical business models, it is our absolute priority that client gets what they are promised. To experience some of the best and “highly professional” cash for cars, cash for old car and cash for scrap car services, call us today at 0466 879 131. Here’s how the most talked-about services work in Sydney! You give us a call (at 0466 879 131) or write us an email (at quote@tradecarsforcash.com.au). Expert team of appraisers reaches at your given address at a time of your convenience to thoroughly inspect your car. We give you top dollar offer on your car. When you agree with our offer, we give you instant cash offer. Trade Cars for Cash vehicles perform mechanical car removal services for absolutely free. Call us today at 0466 879 131. Don't worry about the huge towing charges of your vehicle,	Give your cars to us, We will provide free towing for it ,	No matter where it is located. Earn the maximum value of your	car through us. We pay the real	value of your vehicle.